One of the fundamentals in marketing is making sure that you’re using the right channels to reach your target audiences. Which channels will be right for your business’s marketing strategy will depend on who you are trying to reach; the digital revolution has created more gateways than ever, which in turn has led to increasing segregation and fragmentation of audiences. We’ve been analysing the data to give you some useful insights as to which channels could be suitable for your marketing and PR so you can tailor your activities and maximise conversions. Before you can identify the right channels for your marketing and PR strategy, you first have to nail who your target customer/s is/are. This requires a little bit of research but is well worth the effort, because it will enable you to put your product or service in front of the people who are most likely to want or need it. For more information on finding out who your ideal customers are and how to target them, check out our blog. 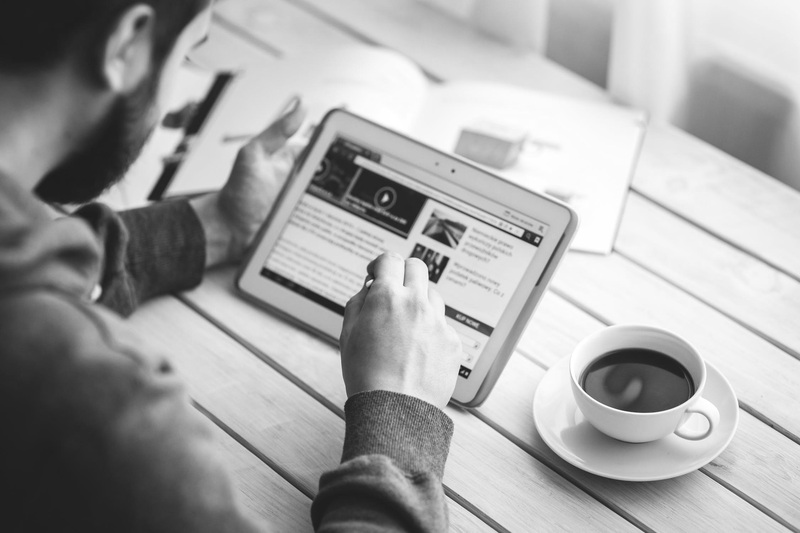 Which online news channels are your target customers watching and reading? Fortunately, you don’t have to play pin the tail on the donkey with this. There are some very useful industry reports that give great insights to help you work out which platforms your targets are using to inform them about what’s going on in the world. At the forefront is the Reuters Institute Digital News Report, which compiles data from 37 different countries to explore how the world consumes news. The 2018 Report suggests that social media is a hugely growing market for news access, and is particularly accessed by a younger audience, with 53% of 18-24 year olds saying they access news this way. On the contrary, the older (55+) internet users preferred to gain access to news directly i.e. via news websites such as the BBC or The Guardian, with 46% saying they accessed news this way in the past week. 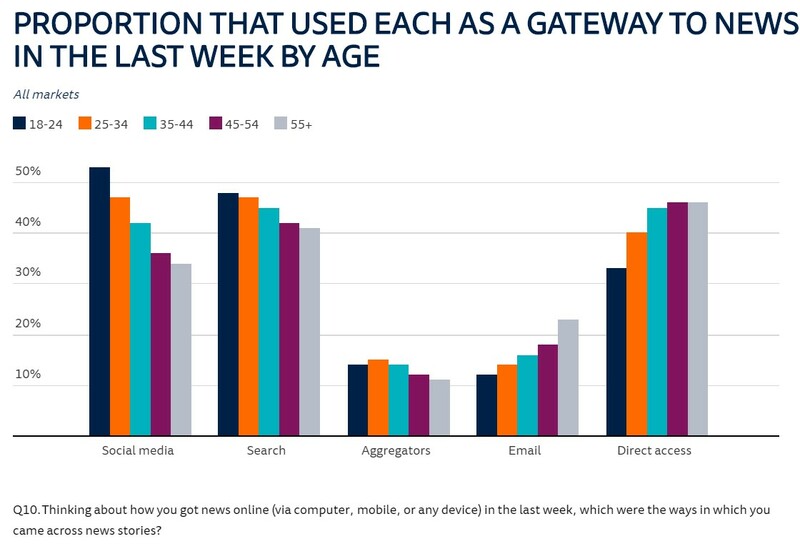 Interestingly, there is a strong correlation shown between age and access to news via email, with older people being more likely to explore these avenues. Now you have the data, it is clear to see that you are more likely to produce conversions from the older generation when they are targeted with emails and when you feature directly on news channels. If you are targeting the younger generation, you are better off sharing your business’s news via various social media avenues. Interestingly, consumption of news via Facebook has reduced in the past year compared to news consumption via WhatsApp through avenues such as broadcast lists and screenshot or link sharing in private messages. This is potentially because the current Facebook climate is thought to be less personal, and people feel hesitant about sparking uninvited debate when sharing posts to a large number of ‘friends’ with whom they may not have contact outside of Facebook. In contrast, private sharing of media via closed groups, such as those on WhatsApp, is seen to be more personal and many people feel more comfortable sharing within a more intimate, discreet circle. But don’t be fooled; even though Facebook is being used less often than in previous years for news sharing, it still holds more than double the number of users than WhatsApp and other social media news sharers, so don’t discount it as an avenue to market your campaign. When thinking about your next PR or digital marketing campaign, consider your target market and make sure to tailor your strategy to suit the online activity of your demographics. For more information on how to win at PR check out our guide here.